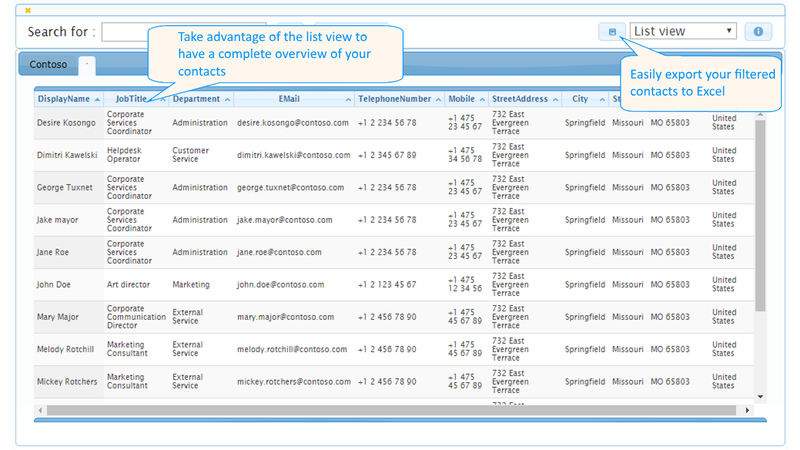 "One place for your organization contacts". Compatibility: SharePoint online (Office 365). 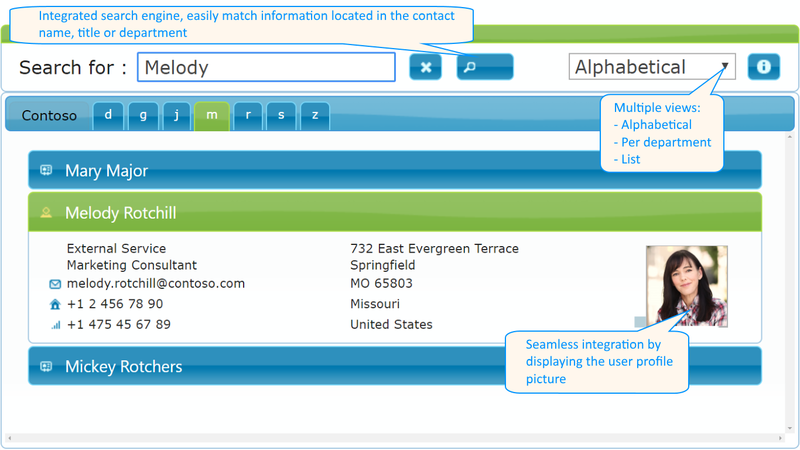 It makes sense to have your company directory available on your SharePoint site. 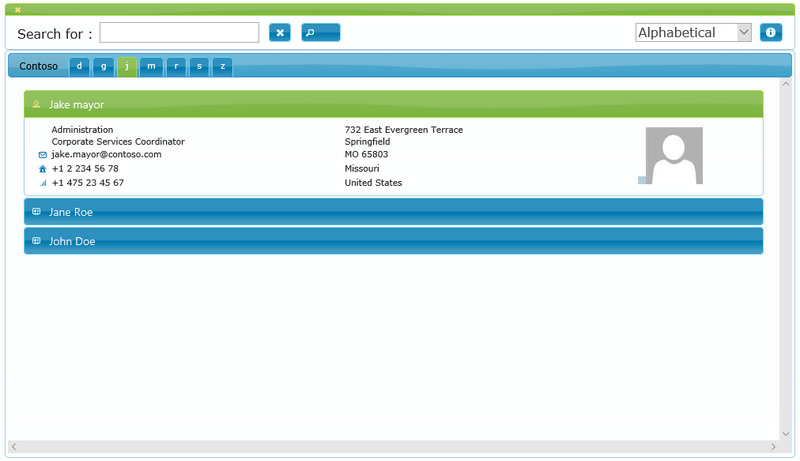 Employees can browse, search and find very quickly colleagues data through your internal company site. 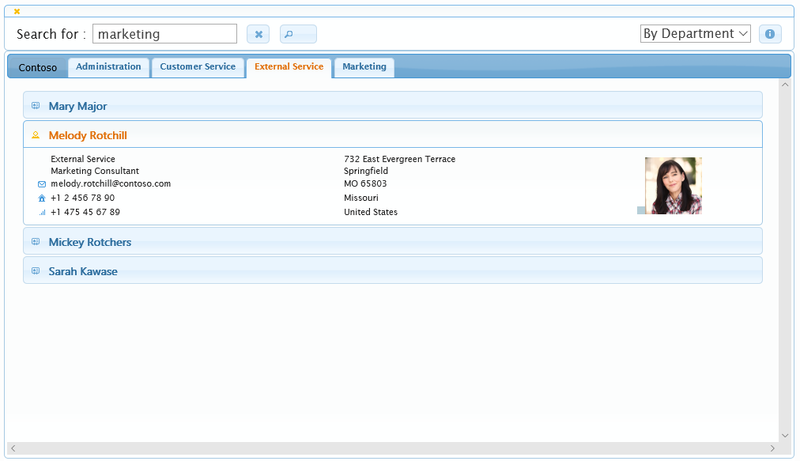 You could maintain a specific employee data list, but having your directory automatically completed with the information populated in your Active Directory is far better: you enter and maintain data only in one place (your AD), and that's it ! Note: you can use our Web Part for free if you connect it to a SharePoint list. 1. Install our SharePoint Web Part (from the Microsoft Office Store) on your SharePoint site. 2. 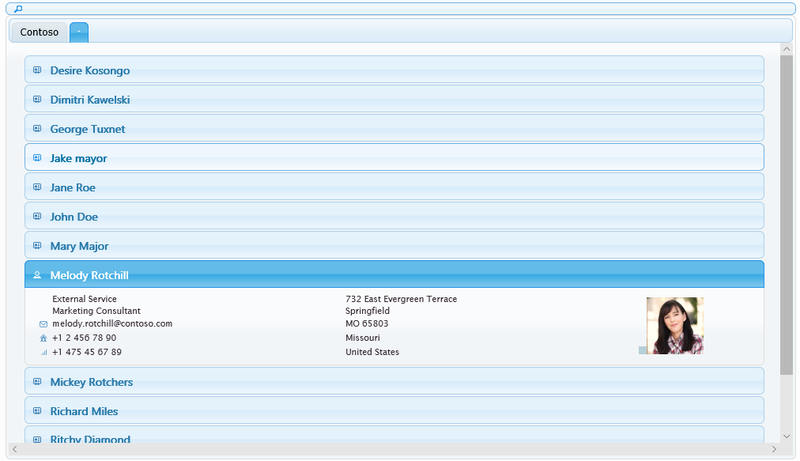 Add an instance of the Web Part on a SharePoint site page. 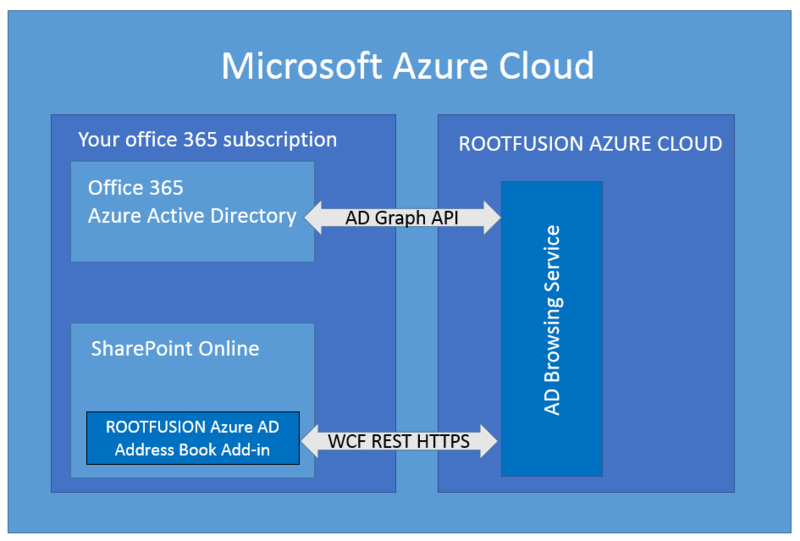 ● our Azure Bridge Web service (ROOTFUSION AD browsing service). This uses the Graph API from Microsoft. SPADLitLoader is a tool to use in combination with the Address Book Web Part, when a SharePoint list is defined as source for the Address Book Web Part. It allows you to create the SharePoint list structure (free), and to synchronize the SharePoint list content with your Active Directory (for licensed version).